The largest canning company in South America, part of the Calvo Group, highlights its social and environmental engagement by launching new line of Friend of the Sea certified products. 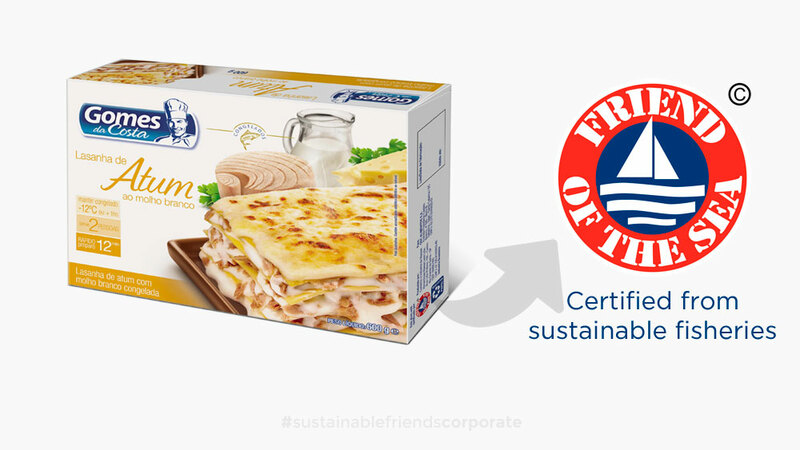 The largest canning company in South America, part of the Calvo Group, highlights its social and environmental engagement by launching new line of Friend of the Sea certified frozen meals, which includes frozen pizza and lasagna. Both products are prepared with skipjack tuna from the Brazilian pole and line fishery, approved as sustainable for the healthy state of the stock and low impact fishing method generating no discard and negligible bycatch. The company’s tuna cans had already been certified Friend of the Sea three years ago. Gomes da Costa (GDC) is the largest canned tuna and sardine company in Brazil, with 41% market share, and the second biggest in Argentina. 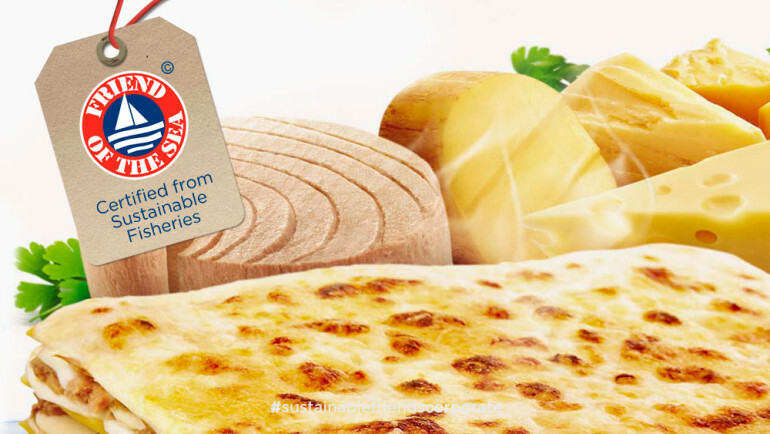 Its brand has been on the market for over 50 years and its most successful products are canned tuna and sardines. It is considered the largest catching and receipt unit in Latin America, producing over 1,2 million cans per day. GDC products are sold in 28 different countries relying on a number of sales and marketing activities. Pizza and Lasagna are sold in all the major retail chains in Brazil. Gomes da Costa tuna, the major brand in Latin America is also widely sold in the continent with the Friend of the Sea ecolabel. Today, GDC is the largest company of canned tuna and sardines in Brazil, with 41% of the market share. The brand has been traded for more than 50 years and its best-selling products are tuna and sardines, which are canned with high quality. In 2005, GDC, already part of the Calvo Group, exported to more than 55 countries. This way, the group became one of the 5 largest companies of canned fish in the world, with 1,800 employees, a fleet of 11 vessels operating in 3 oceans. As GDC is one of the most competitive canned food companies worldwide, there are significant opportunities of expansion beyond the national territory, especially in Latin America, Africa, Middle East and strategic markets of Europe and Asia. The company is also present in other countries of the Mercosur, such as Uruguay, Paraguay, Chile and Bolivia, and recently started its sales and marketing operations in several other countries, such as Angola, Jordan, Libya, Surinam, Costa Rica, Syria, Cuba and Australia. In a bowl, add the ricotta, the yolks, the wheat flour, the milk and the heavy cream. Mix well. Add Gomes da Costa Tuna with its oil and the spinach. Add the egg whites (whipped until firm), mixing it gently. Grease a small baking tray (around 16×26 cm) and pour the ricotta and tuna mix. Sprinkle it with bread crumbs mixed with the grated Parmesan cheese. Take it to oven at 180°C, preheated, for about 35 minutes, or until the surface is brown, or until a toothpick is inserted and removed clean. 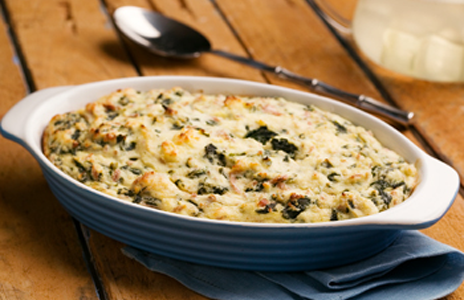 Tip – For 1 teacup of cooked and sautéed spinach, use 1 large bunch of spinach. Variation – This dish can be made using individual baking trays. For more Gomes da Costa’s recipes click here.